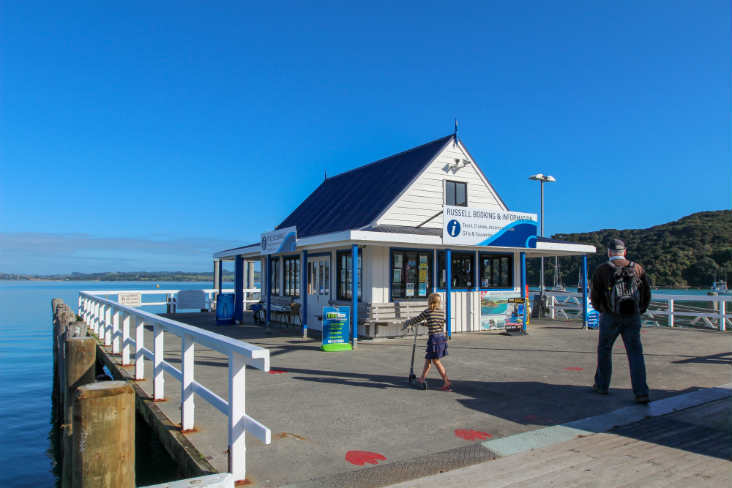 Russell Booking and Information Centre is located at the far end of Russell Wharf, where the ferries come in from Paihia. We can arrange day sailing and fishing trips, overnight trips on the Bay, snorkelling, dolphins, sailing, fishing, kayaking, parasailing…pretty much anything that is available in this beautiful part of the world. We have a direct line to all the suppliers and an in-depth knowledge to all they have to offer, which will ensure you get the right excursion at the right price for you and your family. Russell Booking and Information Centre is independently owned and operated and our service to the community and our customers is of paramount importance to us, so rest assured you are in the best possible hands.